Navarra export catalogue - Bodegas Ntra. Sra. 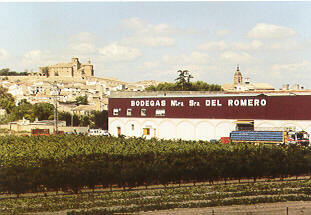 del Romero, S.C.
Bodegas Ntra. Sra. del Romero, S.C.
Bodegas del Romero, S.C. Is the merger of 3 Cooperative Cellars situated in 3 different areas of Navarra: Ribera Alta, Tierra Estella and Ribera Baja, joinig 1000 members vinegrowers and 1280 Has or privately owned vineyards. The have an average harvest of 9 millon Kg. Of grapes every year and produce red wines (in young, crianza, reserva and G. Reserva), young roses ands whites, all D.O. Navarra. The main winery, founded in 1951, is located in Cascante, and because of its characteristics and acapacity is considered one of most important cellars in Navarra. 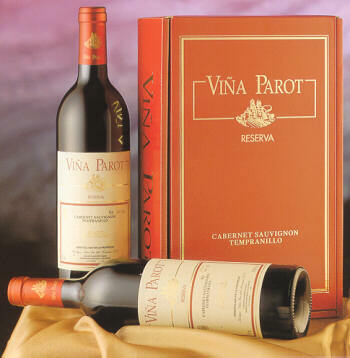 The wines produced are sold both in the home market and abroad, mailnly in european countries.